Vacuum Sucking Pen - Analog Technologies, Inc. The HANDI-VAC is a vacuum sucking pen, used in SMT parts, metal parts, plastic parts or any item having a smooth and nonporous surface that the rubber vacuum tweezer tip can seal against. 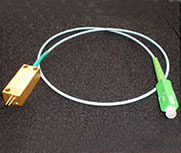 The LP-200 is a vacuum sucking pen, used in SMT parts, metal parts, plastic parts or any item having a smooth and nonporous surface that the rubber vacuum tweezer tip can seal against. The P-831 is a vacuum sucking pen, used in SMT parts, metal parts, plastic parts or any item having a smooth and nonporous surface that the rubber vacuum tweezer tip can seal against.